Google’s Nexus 7 Android tablet has an undocumented magnetic screen sensor that is similar to Apple’s iPad. The sensor, which went unnoticed in the teardown of the tablet, gives it the ability to wake itself when a magnet is in the proximity of the bezel, potentially supporting accessories similar to the iPad Smart Cover. The feature was discovered by YouTube user wwscoggin and spotted by the Android Police blog, which posted a short video demonstrating the capability. 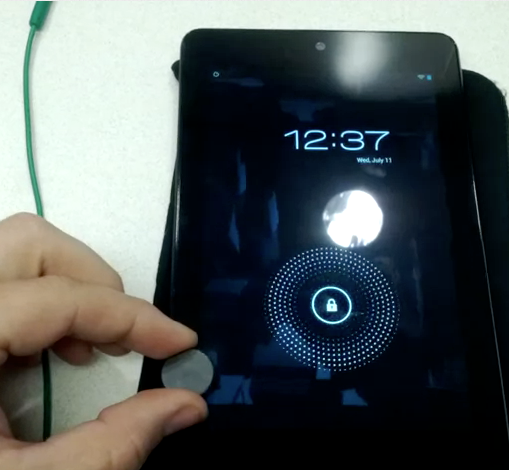 A magnet is placed on the lower-left side of the Nexus 7, triggering the screen to switch on and off. This magnetic sensor is not documented on Google’s or Asus’ (the manufacturer of the tablet) information pages. It’s unclear what the magnetic sensor will be used for. 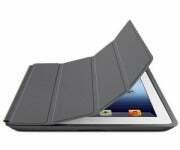 One strong possibility is that the official Nexus 7 Cover would make use of such functionality. We won’t be able to know that though until the case, which covers the back and front of the tablet, starts shipping; it’s currently coming soon on the Google Play store. It’s entirely possible that the Nexus 7 cover will automatically switch the screen off when it’s closed and back on when opened. If this concept sounds familiar is because you’ve seen it before with the iPad Smart Cover, and more recently with the Smart Case, which covers the back and front of the tablet as well. Apple does have a patent for the magnetic mechanism of the Smart Cover, which mainly covers the way the cover is attached magnetically to the tablet, rather than using the magnetic sensor to switch off the screen, something that goes way back to some earlier BlackBerry Bold models that could switch the screen off when placed inside their original leather case.